Less than a third (29 per cent) of Britain’s motorists think that speed cameras are only used at sites with a bad record of crashes and injuries, and 50 per cent think that raising money is their primary aim, according to Public Opinions of Speed Cameras, the latest research report from road safety charity the IAM. The survey of more than 1,000 respondents also shows that support generally for speed cameras is high at 79 per cent. The highest level of support is in London (85 per cent approval) and the lowest in the North East (67 per cent). Seventy per cent of motorists agree that speed awareness courses are a better idea than prosecution. The greatest support for this is among 17 to 24 year-olds with 82 per cent in agreement. In contrast, 65 per cent of the over-65s think they are a good replacement for prosecution. The survey found less support for using the income from these courses to fund cameras – 48 per cent support this, but 34 per cent actively disagree. However, 17 to 24 year-olds are once again the most likely to support the proposal. 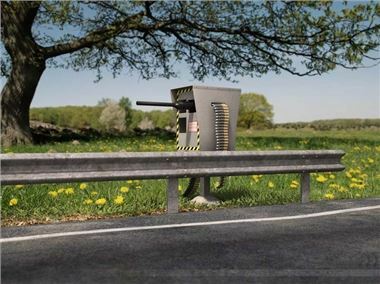 Eighty-one per cent of all respondents think that speed cameras contributed to falling road death rates over the past decade and nearly half of all respondents think that road deaths and serious injuries would increase if cameras were turned off. The survey questioned 1028 people, 528 male and 500 female.